I made a number of friends and acquaintances recently during a stay in a local medical facility, recovering from a long illness of sorts. Many of these acquaintances were there on a regimen of rest and revitalization, working on overcoming the overwhelming nature of our modern society. They were nice people, all of them, and we had many a rational and polite conversation about our lives, families, and the challenges of the world around us. None of these conversations were of any particular interest to me, however – the overall banality of their lives shed little illumination on my own personal questions and concerns. There were a few I met there, however – long-term residents for whom the traditional treatments had proven ineffective – who had many fascinating things to say on a great number of peculiar topics. It took me a while to earn the confidence of some of these residents, but after I opened up about some of my own personal experiences, they began to confide in me as well, and the information conveyed was beyond fascinating. Four Figures approaching a fifth? I recall one conversation, held in whispers in the farthest corner of the day room, with an elderly gentleman who I shall call ‘John’. He was a printer in his previous life, and also had an interest in woodcut printing, from Han dynasty through it’s rise in Europe in the 13th century. He had a small but respectable collection of woodcuts and woodcut prints that he had collected over the years as part of this hobby, some dating back many hundreds of years, and he was constantly on the lookout for new acquisitions for his collection. It was at an estate sale many years ago in Providence that he found a folio of woodcuts that were, in his own words, ‘In unbelievably good condition for their age’. He paid only a hundred dollars for the whole folio and, once purchased and brought back to his study, he proceeded to examine and catalog each one. It was as he began to examine these woodcuts that he realized there was something unusual about them. The first curiosity he noted was that some of the woodcuts were in a language he could not recognize – as a printer and someone who had dedicated many years to studying European woodcuts, he thought he was familiar with all of the various languages they were written in, but this folio confused him greatly. Another issue that bothered him, according to John, was that some of the prints showed images and symbology that were decidedly non-European, and seemed closer to some middle-eastern work he had seen – but the layout of the text and other aspects were completely wrong for woodcuts of that region. John began to suspect the folio to be a fake or a cleverly done counterfeit, but there were several aspects that made him feel that they might not only be real, but something very unique. The dreams started in the first week after looking through the folio, John said; terrible dreams that left him shaking and feeling drained in the mornings. He also began to obsess about the folio, starting with unfocused daydreams and scribbles, but gradually becoming a full time compulsion. There were messages in these bizarre pages, he was sure of it, and as he stared into the bizarre symbols and sigils he felt drawn to… something he could not articulate. After several months of this study had elapsed, John lost his job and was having serious issues with his family, but he didn’t even realize it was happening at the time. The dreams and the pages became guides, terrible signposts, and John believed he was getting closer and closer to his goal, though he could never articulate what that goal was, saying it was beyond mere human comprehension. He began to ‘experiment’ as he described it, until some event initiated his current situation of confinement. He would not, or could not, talk about the event, and as I pressed him for any additional detail he became more and more agitated until he finally had to be escorted out of the day room. Whispers from some of the others seemed to point to some violent episode, but I am still unsure of the details. 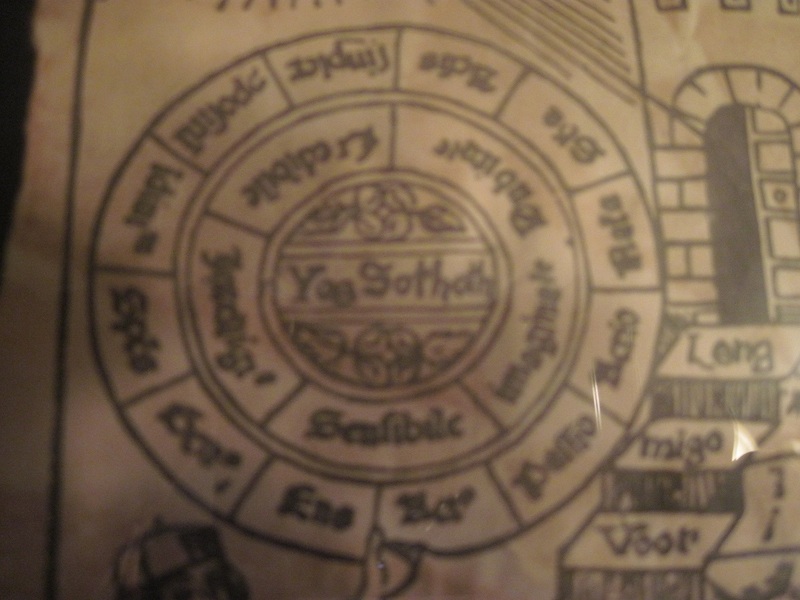 One of the most interesting aspects of John’s story, the one point I keep coming back to, is his description of some of the symbols in the Folio. His descriptions reminded me of symbology I am familiar with, from some of the strange woodcuts that came into my possession from a lost Miskatonic University collection. I was unable to get any further information from John, unfortunately; shortly after our conversation his health declined and we were unable to speak again during my stay, but I believe that his experience had many parallels to my own. 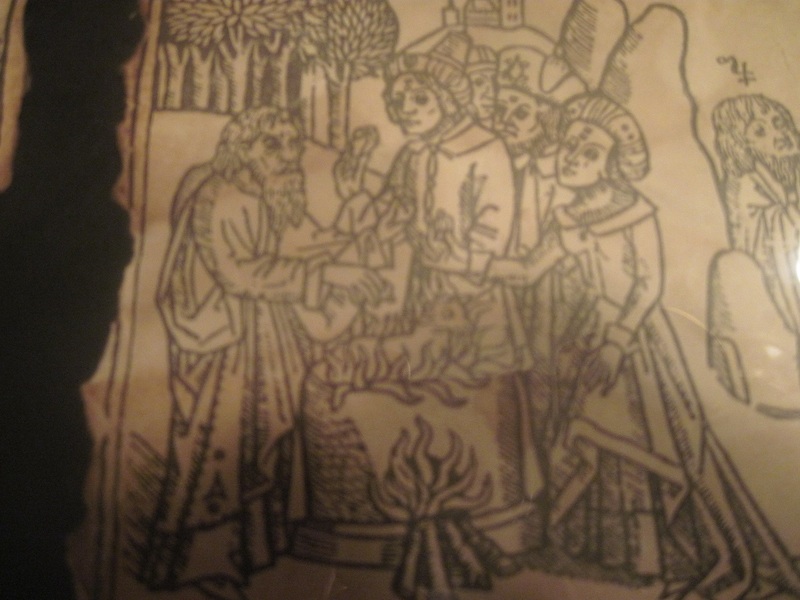 I would love to get my hands on that folio of woodcuts from John’s family, but I’m not sure how they would react to that. I’ll have to see if I can work something out.